Fleeing and eluding law enforcement is illegal in every state, and is an offense that comes with varying degrees of criminal penalties. Depending on the degree of the crime, eluding law enforcement can result in a mandatory adjudication of guilt and driver’s license suspension. Eluding law enforcement typically occurs when a driver of a motor vehicle deliberately ignores a police officer’s sirens and/or chooses not to stop when being ordered to do so by an agent of the law. Fleeing law enforcement is when a driver stops when ordered to do so, but then attempts to flee the scene. If you have been charged with either fleeing or eluding the law, reach out to the team at The Baez Law Firm for aggressive legal representation right away. Prior to 2003, fleeing and eluding the law were considered a misdemeanor of the first degree, which is punishable by up to one year in county jail and/or twelve months of probation. When the law was amended on July 1, 2003, though, the offense became a felony of the third degree, which carries a punishment of up to five years in state prison. However, there are varying degrees of the crime that a person can commit. For instance, if a person fails to pull over for a vehicle whose lights and sirens are activated, the offense is considered a level “one” for sentencing purposes. So long as the person does not have any prior felony offense on his or her record, they will not score anywhere near mandatory prison time. However, if the lights and sirens are activated, and the police vehicle is clearly marked as being such, a person who fails to follow the police directive to pull over is guilty of an offense level “three.” While this will result in a harsher sentence, it may still not be enough to warrant prison time without additional prior offenses on the person’s record. When a person willfully flees from an authorized police vehicle whose lights and sirens are on, and when he or she speeds up to avoid the police officer and drives in such a way as to endanger themselves, the police officers, and others on the road, they are guilty of a felony of the second degree. A second-degree felony is punishable by up to 15 years imprisonment. However, the offender may not accrue maximum prison time, as this type of offense is considered a level four offense. If, in committing the actions described in the scenario above, the fleeing individual seriously injures or kills another person, they are guilty of a felony of the first degree. A first-degree felony is punishable by up to thirty years in prison, and because it is considered a level seven offense, the offender will serve prison time. 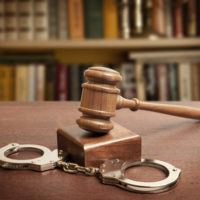 If you were arrested for fleeing and eluding law enforcement, the criminal defense lawyers at The Baez Law Firm will help build a sound defense against the charges brought against you. From proving that the vehicle was not marked properly to arguing that you were fleeing out of necessity (i.e. going to the hospital), there are several ways that the legal team at one of Florida’s leading criminal defense firms can ensure that the charges brought against you are either reduced or dismissed. To speak with a criminal defense lawyer regarding your case, call 800-588-BAEZ now.